The original of this article was posted in May, 2015 and updated, April, 2017. 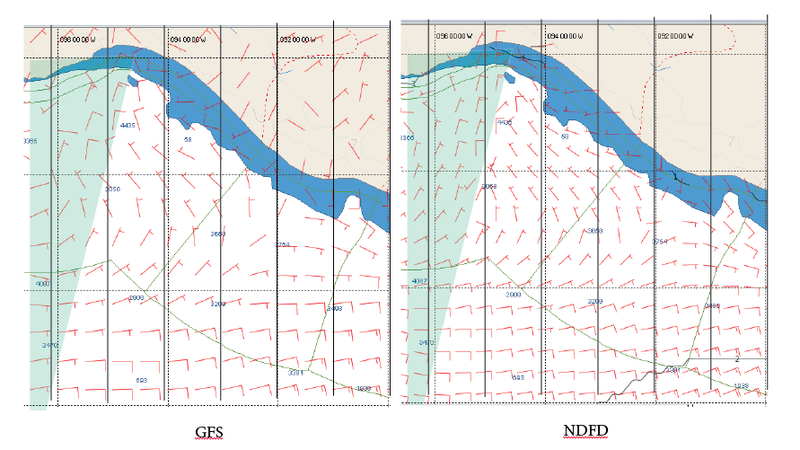 The primary method of weather routing underway these days is based on vector wind forecasts in GRIB format displayed in echart navigation programs. Navigators who do not display the data directly in an echart program still use this data viewed in separate GRIB viewer software. One popular free program and data source is the WinFax program from Saildocs that includes both the GRIB viewer and a convenient link to download the data via email using HF radio or satellite phone when underway, or by Internet when available. Another popular free program is OpenCPN. Commercial GRIB viewers and data sources include Ocens, Expedition, LuckGrib, and others. The primary source of free data used in these programs is the numerical prediction forecast of the Global Forecast System (GFS) model from the National Weather Service (NWS). This is free, worldwide data. There are other (regional) model output options for selected regions that can improve on the GFS forecasts in coastal waters, but once offshore we must rely on a global model. There are global model data from other nations that are as good or sometimes better than the GFS, but these are not free data. There is also free global data from the US Navy (NAVGEM, formerly NOGAPS), but this would rarely be an improvement over the GFS. The regional model from NWS is called NAM; the one from the Navy is called COAMPS. The HRRR model is highest resolution with the most frequent updates. The GFS model offers new wind forecasts every 6h, in 3-h steps, out to 10d, but none of the models are dependable on the level a sailing navigator might want beyond about 4 days (96h). The latest GFS model computes wind at grid points of 0.12º, but this high resolution is so far not typically available to sailors at sea. The most common sources of GFS data provides a wind vector every 0.5º, or about every 30 nmi, depending on Lat. 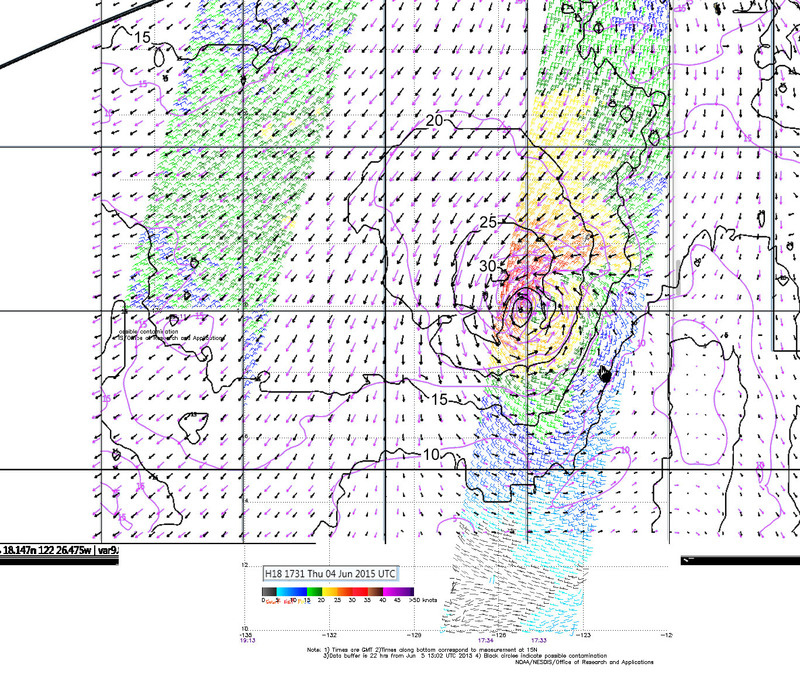 The racing tactics program Expedition and others offers GFS data down to a 0.25º grid. But here is the ongoing issue for those who want to do the best they can in wind forecasting. The GFS data are pure computer model output. The data you get this way has not been vetted in any way by human meteorologists once it left the computer. That is not to say it is wrong. The computational science of the atmosphere is improving every year and is remarkably good artificial intelligence. In fact, the GFS winds will be very close more often than very wrong, but they can indeed be wrong, and can indeed be close, but not right, especially as we get beyond 48h. So what do we do about this to optimize the forecasts? First we must remember that we do indeed have the actual forecasts from the human intelligence of professional meteorologists. We get these forecasts from the folks at the Ocean Prediction Center (OPC) and the National Hurricane Center (NHC). We also have regional forecast offices in Honolulu (HFO) and three in Alaska (ARH) that contribute to Pacific marine forecasts. They provide (via Internet links or HF retransmission via USCG) surface analysis maps every 6h, as well as a 24h forecast and 48h forecast every 12h, and a 96h forecast every 24h. Thus we can compare their forecasts with what we see in the GFS forecasts as a way to judge if the GFS has withstood the scrutiny of the professionals. These meteorologists have, in preparing their own forecasts, studied all of the global models available, several of which are ranked higher than the GFS in overall performance skill. To make their judgments they include various ensemble studies of the models, which include looking at the output at a specific time based on different initialization times, as well as different input data. They can also vary the physics parameters of the solutions. The extent to which the results are independent of these variations in the calculations directs them to the best model to use for the situation at hand. They also fold into this their experience with the climatic behavior in various regions as well as past performance of the models in particular circumstances. They can also use their experience to evaluate the ship and station observations that have seeded the models for the latest run, and they may have access to satellite wind and cloud image data that did not happen to show up in time to be assimilated into the last computation. In short, the background that goes into the forecasts they make is far more than just the output of one particular computer model, so we have every reason to believe that they could provide a better forecast. With that said, we must add that the difference between what the meteorologists provide and what the GFS model alone provides depends on what part of the world you are in and when. Our recent study of this, for example, for the Transpac route, LA to Honolulu, during the summer, with a nicely formed and in place Pacific High, showed very little difference between human forecasts and pure GFS model predictions, and in such cases the NWS will indeed simply use the pure GFS themselves to create the isobars and subsequent wind fields. But when things are not so benignly climatic, or at higher latitudes much of the time, or near coastal waters, the differences can be significant and it is our job as prudent navigators to make the comparison before relying on the GFS alone. Up until late last year the process of comparing the two forecasts when underway was rather tedious, because the NWS analyses and forecasts were only available as graphic images of the weather maps. Thus we had to plot various positions on these and then extract the wind and pressure data using special tables. These data could then be compared to the GFS values for the same forecast times. The process and required tables are in the textbook Modern Marine Weather. But now we have a new digital solution that for many parts of the world not only offers an easy solution but in effect diminishes the requirement for the comparison in some cases... and that is the topic at hand—a long background introduction to put this new data into perspective. or vary this with the standard SailDocs conventions for region, and forecast span. The forecasts are available every 3h out to 72h, and then every 6h out to 168h (7d); however accuracy beyond 96h cannot be counted on regardless of who made it or how. The longer run forecasts are still useful on some level for weather routing programs that must look ahead at something to make proposals for earlier times. These data are called the "oceanic NDFD." The resolution of the data is very high at 0.12º, which corresponds to roughly one wind arrow every 7 nmi, this is about four times finer grid than typical GFS data, and twice as good as best GFS available. Furthermore, it is not unvetted pure model output as the GFS is, but rather the digital forecast of professional human forecasters. A drawback for barometer oriented navigators like myself, however, is the absence of isobars. For now from the NDFD we just get wind speed and direction and significant wave height (SWH) for use at sea. The database itself includes air temp, humidity, and various other land oriented data. What we do not have yet and very much would like to see is that part of the NDFD that covers tropical cyclone surface wind forecasts of winds >34 kt, >50 kt, and >64 kt. Unlike sea level pressure, these data are all in the NDFD already, but not yet available to mariners in conventional GRIB format. This is scheduled to come online operationally in June, 2017. The other limiting factor to use of NDFD is the data are not available worldwide. Figure 1 shows the regions covered by the oceanic NDFD. The borders do not have to be spelled out in the Saildocs request. That service will simply provide what is there within whatever you ask for. I have been told by the NWS that it is in the planned expansion to extend the coverage from 140W on over to HI, but with such tight budgets these days we don’t know when that will happen. The first step is we need more vessels using it to learn its value. Figure 1. Coverage of the "oceanic NDFD" wind and SWH data. Wind arrows in this global view do not reflect what we obtain by download, which is one arrow every 0.12º. Beside the oceanic data discussed above, there is higher-res NDFD data for the continental US (CONUS) in two resolutions, and for specific US regions, namely AK, HI, PR &VI, and Guam. The areas are shown roughly in Figure 2. Figure 2. The CONUS and regional NDFD coverage areas overlaid onto the oceanic coverage of Figure 1. Where there is overlap of the coverage, there will be two sources for NDFD data, and typically the CONUS or regional would be the preferred. The update times, forecast steps, and resolutions vary within these sets, so I defer this to a later article on the details of this data. See NDFD Oceanic, CONUS, and Regional. Also at the moment there are limited sources of all of this data, so we will keep this up to date in that article. These comparisons were done before we had GRIB access to the CONUS NDFD, which have higher resolution and more frequent updates. We will come back and make another comparison later on. This section was included when the data were new to mariners to show that it is indeed an improvement. This is even more pronounced with newer comparisons. A rough comparison of the Ocean NDFD and GFS is shown in Figure 4, below; but this underestimates the actual differences in cases where GFS was not the basis of the NWS forecast. Figure 4 Mean Average Error (MAE) for winds above 8 kts from land stations. The GMOS values reflect the GFS data, but these Model Output Statistics (MOS) have been calibrated to climatic averages. The actual difference between raw GFS wind predictions and the corresponding NDFD predictions are notably higher. This shows that even forcing a normalization to the GFS model output the NDFD still out performs the GFS above 72h. The plots give insight into the accuracy of the forecasts however they are made, which is remarkably good considering that the wind measurements themselves must be some ± (2 kts, 5º) at least. It is not clear how ocean data would compare to these land data. Also on the horizon is a new program called National Blend of Global Models (NBM). This will be an improved forecast system using both NWS and non-NWS models, along with state of the art ways to evaluate input observations plus enhanced ongoing verification to produce a top of the line forecast product. This work is for now focused on land based forecasts, but it will be extended to the ocean as well, and we will then have digital access to through the NDFD. The US did after all invent the concept of numerical weather prediction, so it looks like we may be working toward regaining that leading role. 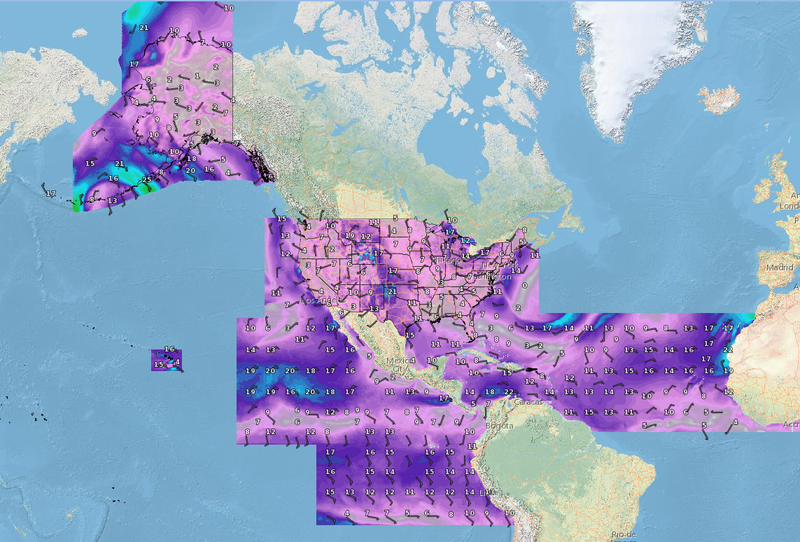 The above is GFS (purple) compared to oceanic NDFD (black) for a TC centered at abut 20N, 125W, with an overlaid ASCAT satellite measurement of the actual winds. The forecasts were made 18h earlier and the agreement of both of them with the observed satellite winds is very good, though both underestimate the actual wind speeds near the storm—the red feathers are observed winds of 30 kts or more. The contour lines mark the wind speed boundaries, shown from Expedition, which allows the forecasts to be scaled to the precise time of the satellite pass, a very nice feature for these tests. These were based on the h18 forecast for both data sets. We still have to overlay these by hand and georeference then all to be the same. It seems that with the wind speeds so very close in the two data sets that the NDFD must have been either pure GFS or it was in any event very close to what was used in the NDFD. Looking at this one and the last one below for Tehujuanepec show that the main challenge in making this type of true test of the forecast is having model forecast data for the times of the satellite passes. Thus we have started a new program of automatically downloading the GFS and NDFD forecasts once a day and then when we see a nice display of scatterometer winds showing interesting behavior, we can go back to see which model did the best in forecasting it. This is an ongoing project now. Stan Honey has navigated in nineteen transpacific races and has won eight times. As navigator, Stan has held the single-handed, double-handed, Pacific Cup, and Transpac passage records for monohulls to Hawaii. The primary feature that dominates the Transpac is the Pacific High. Typically there is no wind in the center of the high, and increasing wind as you get farther south, up to a limit. The central question of the Transpac is how close to sail to the high, or how many extra miles to sail to get farther from the high. In years when the Pacific High is weak (or weakening) and positioned well south, there can be strikingly more wind to the south. There have been Transpacs where yachts that are 10 miles to the south of competitors can experience 1 knot more wind. A sled, in 1 knot more wind will sail 1/2 knot faster, and therefore would gain 12 miles per day on the northern competitor. This condition can persist for the entire middle third of the race, eliminating any chance of recovery for the yachts that are positioned too far north. Note that all yachts in this middle third of the race are nearly fetching the finish on starboard pole, so the boats caught too far north cannot gybe out of their predicament without sailing a dramatically unfavored angle, passing far astern of the competitors to the south. This condition, dominates the results of most Transpacs. Occasionally, however, the Pacific High will be strong (or strengthening), and located far to the north. In these conditions, it IS possible to be too far south. The boats that sail closer to the high will not only get more wind, but will sail the shorter distance. Typically in these sorts of years, the wind stays "reachy" throughout the middle third of the race, so the boats that paid extra distance to get south cannot even "cash in" the southing and reach up in front of the northern boats, because everyone is reaching fast. Generally, tack up the Palos Verdes coastline until the Westerly has filled in, and you can at least lay the Isthmus. When you tack onto starboard to cross the channel, continue all the way across. Do not tack on the shifts in mid-channel. There is substantial adverse current and lighter wind in mid-channel. 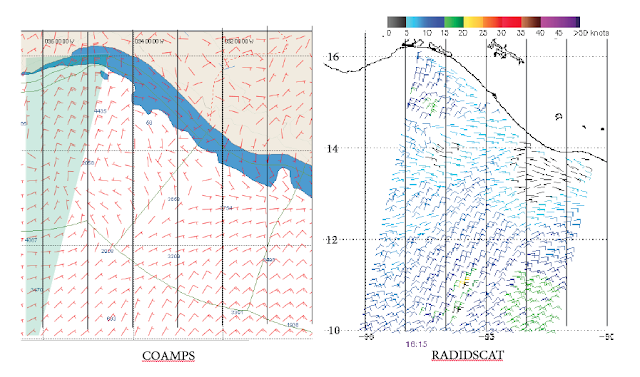 It is better to get right across into the accelerated wind and reduced current at Catalina. 3. The run for the last third. The Pacific High nearly always has a ridge extending off of its southeast corner. On the weather map this is visible as "U" shape of the isobars on the southeast corner of the high. After rounding the West End, you will have a windy reach for a couple of days, depending on your yacht's speed, but when you get to the ridge, the wind will lighten and veer very quickly. For this reason you will find that after reaching in lots of wind for two days, when you finally get the spinnaker up, and are struggling to carry it, within 6 hours or so, the pole is back and you're running on your downwind vmg angles in much lighter air; you just crossed the ridge. The most critical decision of the Transpac is where to cross the ridge. The reason this is critical is, once you get to the ridge and the wind veers, you can not get farther south. You are already sailing as low as you can on your polars, and you can not gybe without huge penalty. That is why the middle third of the race is called "slotcars." You have to stay in your slot, on starboard pole, until the wind eventually veers enough so that you can gybe out on port, if you choose. The middle third of the race begins as soon as you cross the ridge, and the pole comes aft. Throughout this part of the race, every yacht sails as low as it can (e.g. sails its downwind polars). At the west end of Catalina you made your decision where you wanted to cross the ridge, you sailed there, and now you have to live with it for three days or so. If you are too far to the north, you will be slowly destroyed by the yachts to the south of you, and there is nothing that you can do about it; you cannot gybe, you cannot sail lower. As the wind gets lighter, your polars force you to sail higher and higher, until you "spin out" up into the high. When you eventually gybe to avoid starvation, your angle on port pole has you heading due south, far behind your competitor's transoms. The "slotcars" leg ends when the wind eventually veers far enough so that both gybes are symmetrical around the course to the finish, allowing you to sail either gybe. 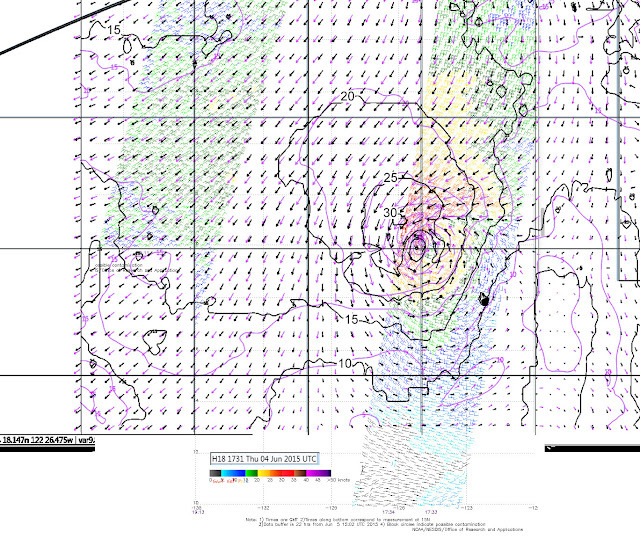 there is no longer a windspeed advantage to the South. These boats then miss the right shift in the last third of the race and lose even more. Pick your approach to come into Molokai at Kalaupapa on port pole. Gybe close to Kalaupapa and sail along Molokai in the accelerated wind. When you get to the west end of Molokai, if you have been lifted away from shore, gybe back on port to get close to Ilio Point, where there is accelerated wind. Gybe onto starboard off Ilio Point and cross the channel. Never approach Oahu much above Koko Head, take another hitch on port in mid-channel if you have to. It is fine to sail close to Koko Head, and from Koko Head sail a straight line to the finish. As you approach the finish, plot your track on the chart, and take GPS fixes as well as periodic bearings with your hand bearing compass. The finish line is deceptive, and many yachts get too close to shore when they can not see the red buoy. The best technique is to plot your position and navigate to the buoy, rather than expect to see it. With spectator boats around, the buoy often cannot be seen until it is within 100 yards. the average wind in the squall is veered about 15 degrees or so to the right of the prevailing surface wind, and the squall itself moves about 15 degrees to the right of the path of the surface wind. Behind squalls the wind is light, particularly near dawn. Heavy boats: As the squall approaches, gybe to port pole, stay on port pole right through the squall, and then gybe back when the squall has past completely over you and your wind speed and angle has returned to the prevailing conditions. If you gybe back to starboard pole too early, you run the risk of crossing behind the squall and getting into the light air in the wake of the squall. angle. When the squall finally passes you, exit on port pole and get away from the squall to avoid getting becalmed behind it. Port pole is more effective to avoid the calm behind a squall because the squall itself is moving to the right of the path of the surface wind, so port pole allows you to diverge rapidly from the light air area behind the squall. It is perilous to exit a squall on starboard pole because of the risk of getting becalmed behind the squall, particularly near dawn. All of the above comments are relevant to typical Transpacs. There are unusual races in which you have to break the above rules to win. you will have more fun, but your average speed won't increase enough to pay for the extra distance. There are a variety of weather and ocean forecast models whose data can be acquired for free. Below are descriptions of some you are likely to encounter, which will hopefully demystify them a bit. The Global Forecast System, or GFS, is the US’s primary global weather forecast model. It is global in the sense that it calculates the state of the atmosphere and how it changes everywhere on the planet at every time step, and in that it focuses on large scales. Its forecasts are used by weather forecasters at the National Weather Service and disseminated in many ways. It is an old-school model in that it represents the atmosphere in an abstract way, as sine and cosine waves, rather than on a grid as the modern global weather models do and as all regional models do, when it makes calculations. Of course this is obscured to the user, but it influences the forecasts made by the model. By some measures, the GFS isn’t as good as some of the flagship weather forecast models from other countries, like Europe, the UK, and Canada (see Cliff Mass’s blog http://cliffmass.blogspot.com/2014/04/the-us-slips-to-fourth-place-in-global.html). Hopefully we can turn it around with more computing power and focus on improving the model. The latest version, 12.0, has a horizontal resolution around 13 km (7 nmi, the exact resolution varies with latitude) out to the 10 day forecast, and then 35 km (20 nmi) from 10 to 16 days. In previous versions, the switch to lower resolution happened at a week instead of 10 days. It uses a much higher resolution SST observational dataset, 5 minutes instead of 1 degree, but because they are observations they are only available before the forecast time. An ensemble forecast is a set of model integrations with the same model, each with slightly different initial conditions or model physics. The goal of an ensemble system is to provide a measure of how certain the forecast is. The more similar the simulations are, the more confidence we should put in the forecast. The range or spread across the model integrations is how you can accomplish this (see NCEP’s GEFS-MNSPRD). It can also visualized with spaghetti plots (see NCEP’s GEFS-SPAG), where one contour is chosen and plotted for each integration. The messier the spaghetti looks, the less certain the forecast is. It is a fun exercise to step through a loop of spaghetti plots. It will start out very clean and smooth and get messier into the future, as the ensemble members diverge and what we can know about the future state of the atmosphere diminishes because of the chaotic nature of atmospheric motions. This extra information about forecast uncertainty comes at a cost, and that cost is resolution, since NOAA has limited computational power. The GEFS is an ensemble of 20 runs of the GFS model. The resolution of the GEFS is 55 km (30 nmi) for the first 8 days, and then reduced to about 80 km (40 nmi) out to 16 days. The NAEFS is a joint venture between the meteorological services of the US, Canada, and Mexico which began in 2004. Two ensembles of 20 members each, the GEFS and an ensemble run by the Canadian model, are combined along with statistical adjustment incorporating observations to produce forecasts out to 14 days. Nearly every national weather service runs its own global weather forecast model. Since it’s crucial to make accurate weather forecasts, most of these models ingest similar observations, but the way that they do it is slightly different, and each model’s physics and other details differ as well. One might be inclined to ask which is “the best” and rely on it, but this is probably not the best approach. All of these models can hold their own against the US models, at least in many situations, so it’s difficult to say which is the best in general. On any given day, it is worth comparing the analysis (which is in the past, so it can be verified) to see which model integration does the best job at capturing what we know has already happened. Aside from that, weather forecasters often treat the different models as an ensemble (see above) to get an idea of the range of possibilities of how the weather will unfold, and how much certainty to have in the forecast. The US Navy runs its own global weather forecast system, called NAVGEM (US NAVy Global Environmental Model), formerly NOGAPS (Navy Operational Global Atmospheric Prediction System), at the Naval Research Laboratory. This model can be used just like the other global models. Since it’s run by the Navy, it also includes some ocean surface fields that are neglected by strictly atmospheric models like the GFS. The NAM is the flagship regional weather forecast model run by NCEP/NOAA. It is regional in the sense that the atmospheric state is only calculated on a subset of the whole globe, rather than for the whole global, like the GFS. Also in contrast to the GFS, the NAM is built so that it can explicitly calculate smaller-scale phenomena that produce large vertical motions (that is, it does not assume all motions are hydrostatic). The NAM has nested grids. That means it has one coarse grid covering its entire domain, but then finer grids focusing on regions of interest. The coarsest grid, covering the whole domain, is at 35 km resolution. There are grids covering the Pacific and the continent at 12 km resolution, and higher resolution grids over some land regions. When hurricanes develop, nested grids focusing on the hurricanes also run. There are other regional atmospheric models. In the US, the main regional model is WRF (Weather Research and Forecasting model), run mostly for research, rather than operationally at a variety of institutions. WRF replaced the MM5 a few years ago. Another regional model, which also incorporates the ocean state, is COAMPS, run by the US Navy. It is initialized by NOGAPS/NAVGEM. Unlike the other models, which calculate the state of the atmosphere, the WaveWatch model calculates ocean waves. As an input, it takes the near-surface winds from the GFS model. The plain WW3 model is global. This is a regional implementation of the WW3 model focused on the eastern north Pacific waters. public data during the race, no matter how that information is communicated. Competitors may receive regularly scheduled weather broadcasts or weather fax transmissions (e.g. from NOAA, USCG, WWV, NMC, KVM70). Competitors may receive imagery from satellites (e.g. NOAA, APT satellites). Competitors may use any means to retrieve data from the Internet (e.g. from the web, from ftp sites, from email responders), provided that those data are intended for public use without charge, are routinely available for free throughout the year, and are publicly indexed (e.g. can be found via Google). Prior to their preparatory signal, there is no limitation on private services or any other source of data or consulting, except that a competitor that has started may not provide weather information to another competitor that has started, or to a competitor that has not yet started except through the information provided to or from Transpac Race Communications. (c) help in the form of information freely available to all boats.